Sign ups will be for four volunteers for each grade level, asking parents to clean each classroom in their grade. By signing up you are helping to keep our classrooms clean and our kids and teachers healthy, thank you!! *Note: Ms. Francone tutors in her classroom on Wednesdays, please clean her classroom first so she can begin tutoring after cleaning, thank you! Please arrive at 3:45 p.m. and go to the building manager’s office (across from front office) to pick up your cleaning kit and a vacuum. Find the cleaning instruction card in the cleaning kit, follow steps outlined by custodial staff. Parents will use an “assembly line” approach to clean: one person will spray down each classroom in their grade, one person will wipe down all surfaces, and two people will vacuum. Please return the kits and vacuum to the building manager’s office and mark the date you cleaned the classroom on the cleaning schedule clipboard. Parent volunteers will be asked to be respectful and not interrupt the teachers who are still working in their classroom during the designated cleaning time. If you have your kids with you while you are cleaning, they must remain seated in the hallway during the time you clean. Per Jeffco policy, kids can not be in the classrooms while cleaning supplies are being used. Kids can not go in the school gym, cafeteria, library or other rooms as other meetings may be going on or custodians may be cleaning these areas. Please bring entertainment for your kiddos (coloring, homework, iPads) while they stay seated in the hallway. 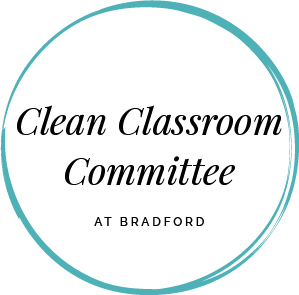 If you have any questions about volunteering or any other questions, please contact the Clean Classroom Committee at: [email protected] instead of your teacher. We hope this committee and parent volunteers will help bridge the gap during the custodial shortage and keep our classrooms clean and our kids and teachers healthy! We greatly appreciate your help, thank you!